The Narcotic Drugs and Psychotropic Substances Act bars the consumption, production and transportation of Cannabis/Marijuana/Ganja within the Indian geographical borders. It has been placed in a list which also includes fatal synthetic narcotic drugs like Cocaine, Heroin and M-Kat. This issue has been debated for decades, however, the legality of this ‘natural herb’ is far from being acknowledged. This debate remains a sempiternal debate due to the medicinal properties of marijuana, and for its track record of not causing a single death, unlike alcohol which takes thousands of lives every year. In India, Orissa is the only state which allows the sale of ‘Bhang’, one of the by- products of naturally grown cannabis which is available for sale at government shops. Cannabis is the second most consumed intoxicant after alcohol in India and the World. Hence, its legality remains a controversial topic. Due to the recent legalization of Marijuana (both for medicinal and recreational purposes) in 3 states in the United States, there has been a worldwide demand for reforms in this sector. While a majority of citizens want it to be legal (at least medicinally), a few groups protest against it. Politicians have been heavily critical regarding the de-criminalization of marijuana-related offences due to concerns of losing their vote bank’s confidence. However, some politicians, like Tathagatha Satpathy, an MP of the Biju Janata Dal confessed to smoking pot when he was in college and even spoke of the legality of Bhang in Orissa in a Reditt AMA. While psychological perspectives are an important constituent to this debate, other economic factors have to be taken into consideration. Are the positive uses of Marijuana enough to outweigh the negative effects? If legalized, what is the guarantee that its execution would yield positive results as theoretically suggested? To answer both these questions, it is necessary to analyse the findings of the post ‘de – criminalization of marijuana’ era of the above-mentioned states of the United States of America. Certain research conducted by local civil society organisations suggest similar findings. They suggest that although there has been an intensive increase in tax revenue and a chance for the Government to invest in the construction of more public amenities, there still exists a black market for marijuana. The reason being the high prices charged by the Government licensed shops. However, there is no denial of the fact that the number of people smoking pot illegally has dropped drastically. Another cause of worry is the form in which marijuana is being sold these states. While pot is sold in its natural state for smoking, enterprises have started making Pot muffins and pot candy bars which ultimately increases the risk of attracting minors who are tempted to buy a chocolate bar which can get them high. So, is legalizing this substance really a boon? The answer to this question is subjective but in comparison to other intoxicators, marijuana seems to be a fair player. In Orissa, growing marijuana for smoking purposes is illegal but chewing or drinking bhang is not. We can only think of the amount of tax revenue that the government gets by selling bhang (because bhang is used while worshipping Lord Jaggannath). Banning marijuana can, therefore, benefit the state’s budget and this money can be used for developmental purposes. There will definitely be a decline in the cannabis mafia. However to make sure everything goes as planned, it is extremely important to make sure that enforcement and execution are at its epitome. States like Himachal Pradesh, West Bengal, Goa and a consolidated north East top the cannabis consumption chart. Hence legalizing it can work as an amendment for the government. 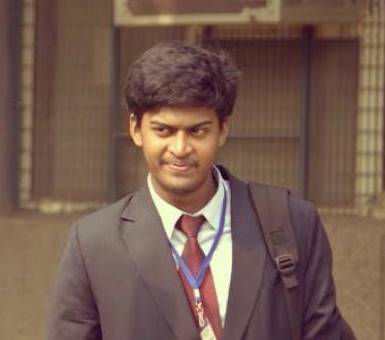 Ishaan is currently an Economics student at Motilal Nehru College, University of Delhi. He is an avid policy debater and a writer on key magazines such as DU Beat and An Inception. His aim is to provide the local level municipalities sustainable solutions for better delivery of basic services. He is also an active campaigner for legalization of medical marijuana and animal welfare. A very helpful blog has been written by you. I am pursuing masters in law and I have take my dissertation topic as “legalising marijuana in India” so is it possible for you to provide me with more ground level information related to this topic as you are part of ongoing campaign? I m sure with your help we can make some change. While we both be on the same side when it comes to love for animals : certainly on this one I am not convinced by the arguments in the blog. Lets start by talking about the medical properties of Cannabis- I would love to read a conclusive Grade I research evidence to prove its benefit in a specific condition in comparison to the current practices. FDA has approved only 2 cannabinoid products for specific conditions which does not equate to using the plant extract or certain parts as a whole. With regards to the side effects- death/ mortality is not the only measure. Research has proved association with negative effects on IQ and higher risk of schizophrenia. At this point i must inform you that I am not a politician worried about the votes but a doctor who has done research on cannabis and have in the course been associated with people who consume it regularly. So the argument should start with a convincing reason for promoting usage of cannabis apart from recreational ones. Regarding ropes and bags etc , I am sure there are plenty other sources to make sure there are no shortcomings in the supply of these. I do not think comparing the America with the set up is India is fair.. despite its short comings, its a more regulated control and accountable environment. Lets take some more examples of American favorites- Shops for arms sales…..that will generate even more revenue…….. An argument justifying a practice as okay because its less harmful does not sound very convincing. To conclude- certainly from the Medical point of view India has a long way to go before considering this option.